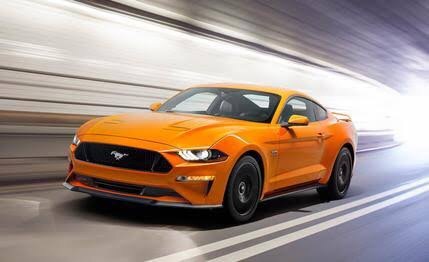 Yesterday, Euro NCAP released a new set of safety ratings, including a new score for the Ford Mustang facelift. For a bit of background, in January Euro NCAP tested the 2016 Ford Mustang and gave it a poor 2-star safety rating – this was primarily due to a lack of safety assist technology like AEB and a poor child safety score (click here to read my article for more details). However, Ford recently announced a facelift for the 2018 model year, with an array of safety technologies like pre-collision assist, lane-departure warning, lane-keeping assist, pedestrian detection, and a driver fatigue alert system. Instead of getting a few 2018 cars to crash test, and since the 2018 models are structurally identical to the 2016/17 models, Euro NCAP just reassessed and reevaluated the existing rating. These changes occurred in two areas: the ‘Pedestrian’ rating was upped from 64% to 78%, while the ‘Safety Assist’ rating was altered from 16% to 61% – this brought the overall rating up to a still measly 3 stars (or 60.25% when averaged). This new rating is an improvement, but still pretty bad. The Mustang was still let down by its 32% score for child protection caused by the lack of rear seatbelt pretensioners, among other things. I’m happy Euro NCAP gave it a second chance, but still pretty disappointed about its score. What do you think? Let me know!